In Chinese, the words order in questions is identical to the order of phrases in statements. nǐ zài zuò shén me ? 你 在 做 什 么 ? Today we will study in details the sentence structure for these Yes-No Questions. 你 是 中 国 人 吗 ? 2. I am Chinese, what about you? – subject + [是否] + predicate ? – subject + [ verb + not (不/没） + verb ] + predicate / object ? – subject + [ noun phrase/verb phrase/sentence + 还是 + noun phrase/verb phrase/sentence] ? 你 是 否 是 中 国 人 ? 你 是 不 是 中 国 人 ? 你 是 中 国 人 还 是 日 本 人 ? Here are just a few Yes-No questions. Try the above links to see more examples of questions. Why u said 什 as shi2, not as shen2? Yes. You are right. It should be shén. I have made a typing mistake. Under what circumstances are each used? 做 and 作 have the same pronunciation zuò. Many people make mistake while using these 2 words. I hope this will help. Thanks. 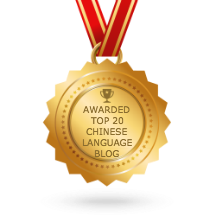 What is meant by 动词 and 名词? and 作 is a noun such as 工作，作品，作者? 后 means behind, while 候 is like used when expressing time. Yes. Most the time, 做 is a verb and 作 is a noun. But in some occasions, 作 can be a verb too. For 候 and 后, I think klw has given a good explanation. “Recent Comments” before you delete them? The Recent Comments is a WordPress plugin that I installed. I think it will display the latest 6 comments. I don’t know if you’re still here, but I want to say that this is the best Chinese-teaching website I have ever found. I am still posting Chinese character everyday. I do not have PDF version of the grammar notes. I will try to create one if I have time.